After the huge success of all Android tablets by Samsung, Samsung just announced the Samsung Galaxy Tab 2 310 which is a 7 inch tablet having the Android 4.0 ICS. The highlighted features of the Samsung Galaxy Tab 2 310 are 1GHz Dual-Core processor, Android 4.0 ICS, 3MP rear camera, VGA front camera for video chatting etc. 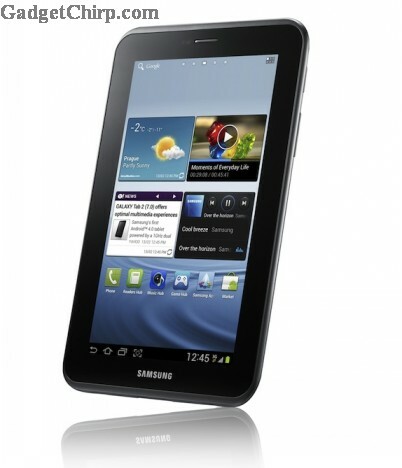 Samsung Galaxy Tab 2 310 will be available in the market from the April, 2012 and will be available in 8GB, 16GB and 32GB models. 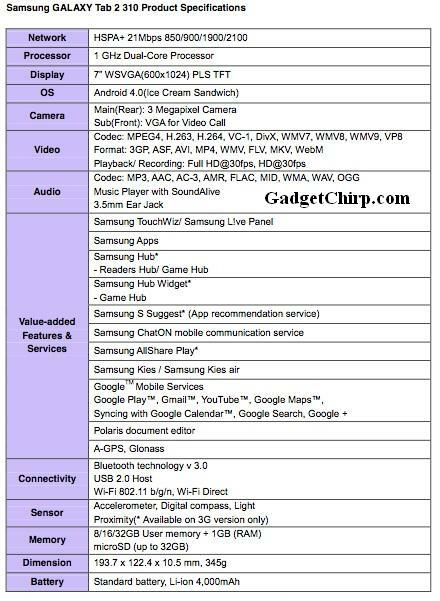 The full specs and features of Samsung Galaxy Tab 2 310 are given below. It's better be cheap, because it is almost the same as the first Galaxy Tab, only with better processor and memory. Why didn't they upgrade the camera? Samsung Galaxy Tab 2 7.0 8GB 3G+Wifi launched in US and UK priced at 249.99 USD expected in India as Galaxy Tab 2 310 between 12500-15000 Rs. Is it true?